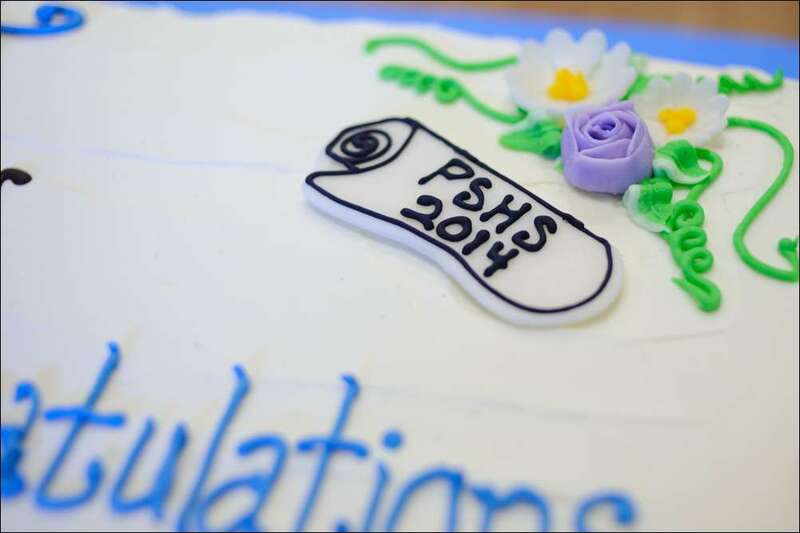 I made this graduation cake for the darling daughter of a dear friend who is graduating from high school this year. 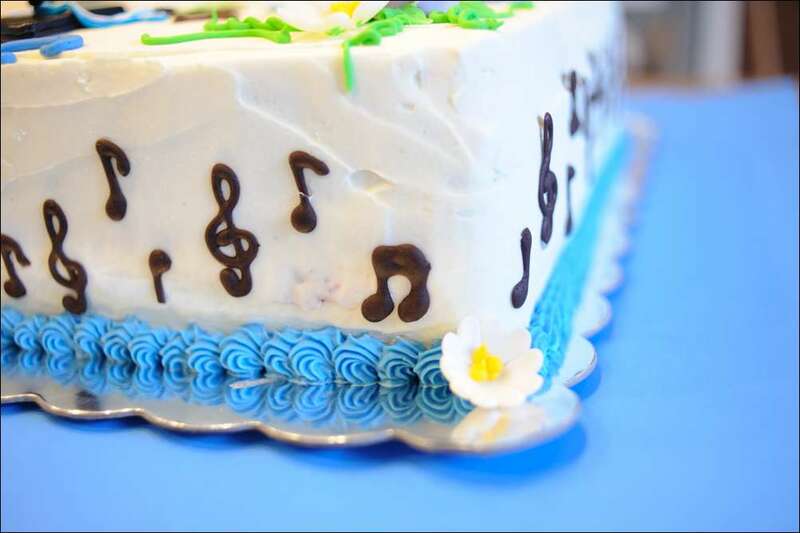 She is very musical (among her other talents) and wanted a musical-themed cake with flowers. 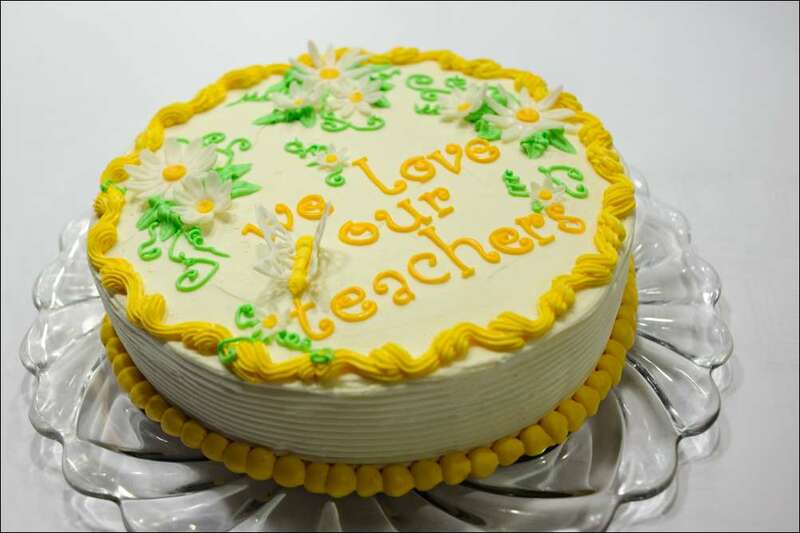 This is a half-sheet double layer cake (chocolate and vanilla) with a fresh strawberry filling, iced with vanilla-bean cream cheese buttercream The notes are made from melted chocolate piped ahead of time onto waxed paper and added at the end. 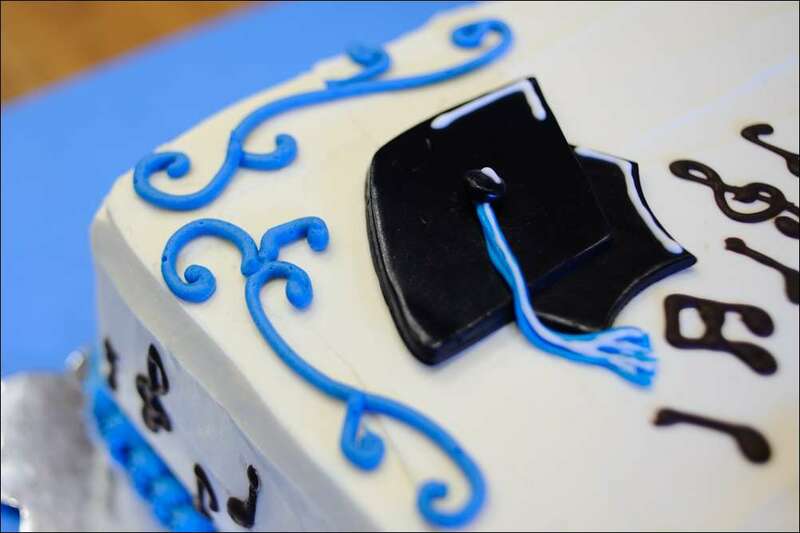 The graduation cap and scroll are made from homemade marshmallow fondant with royal icing piped on. 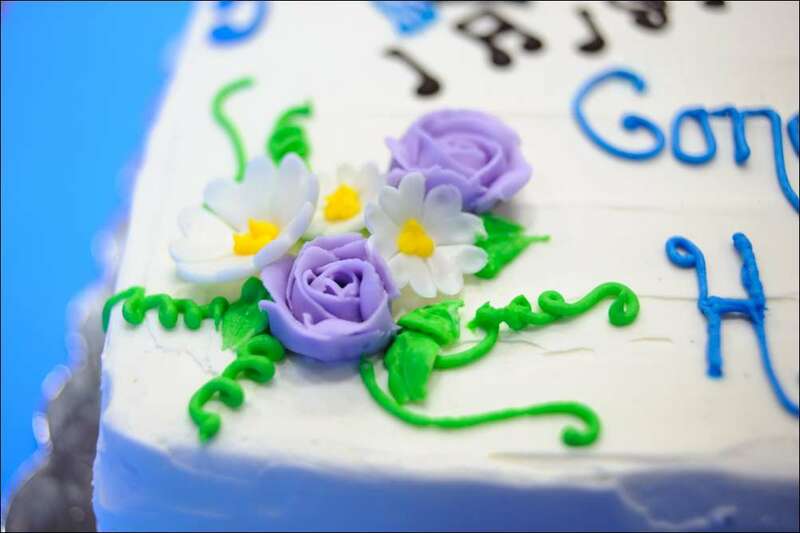 Some flowers are buttercream and others I cut from fondant. 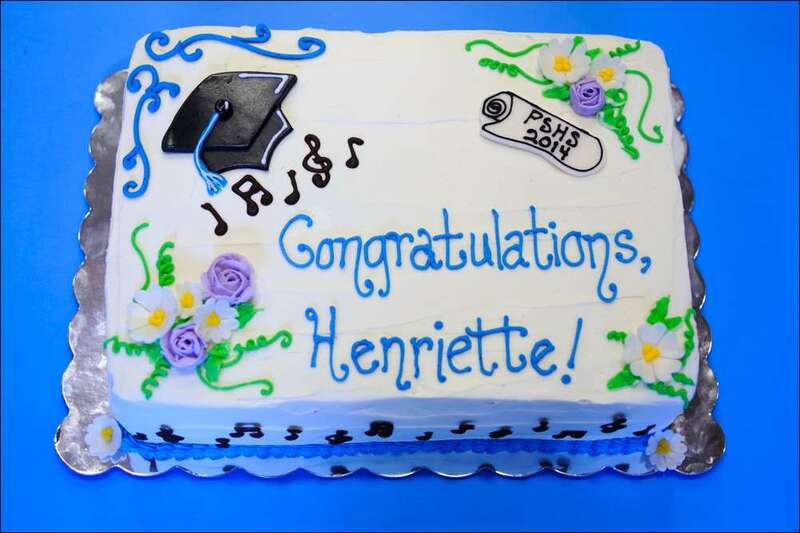 It was such a pleasure to do this cake for Henriette’s graduation…She is an outstanding girl who is very adventuresome and excels in so many things. 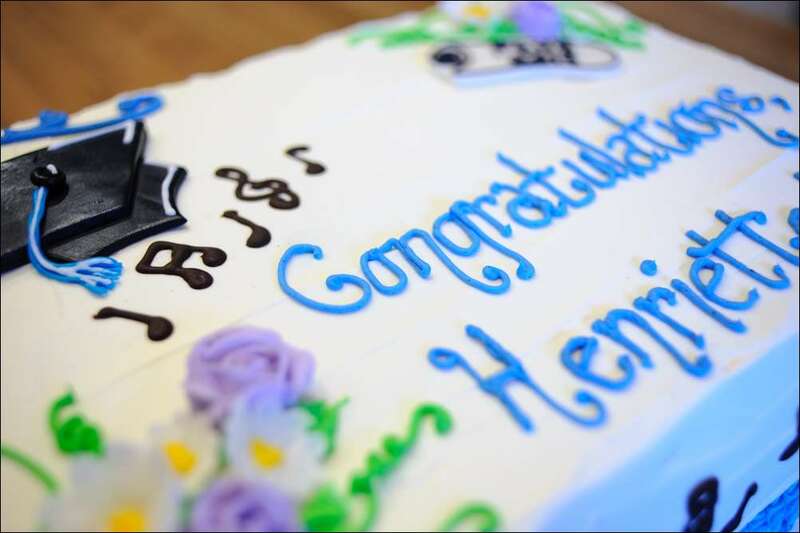 We wish her all the best in her coming years of college…Good luck, Henriette!! 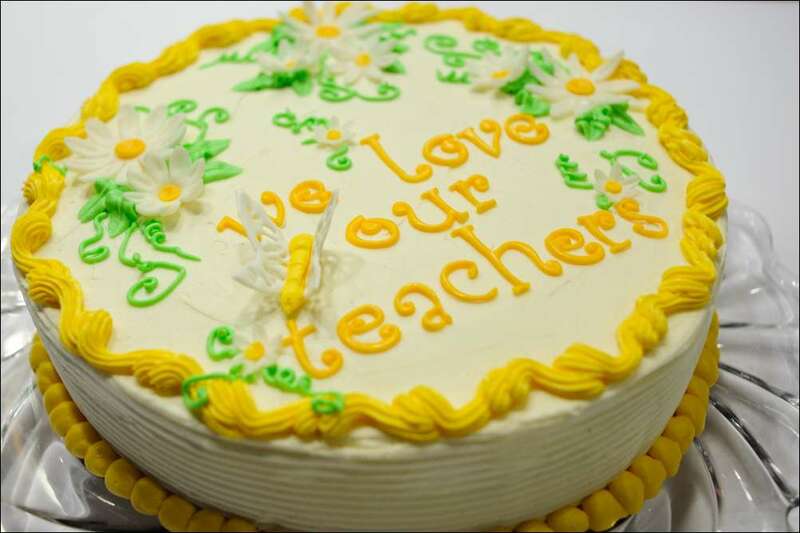 Well, it’s graduation season and I’ve been making cakes! 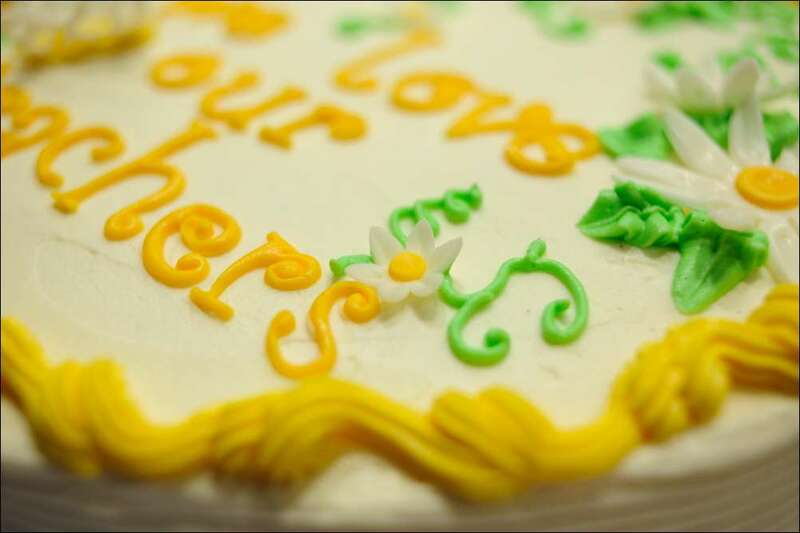 Cakes for big parties (250 people!) and small family gatherings. 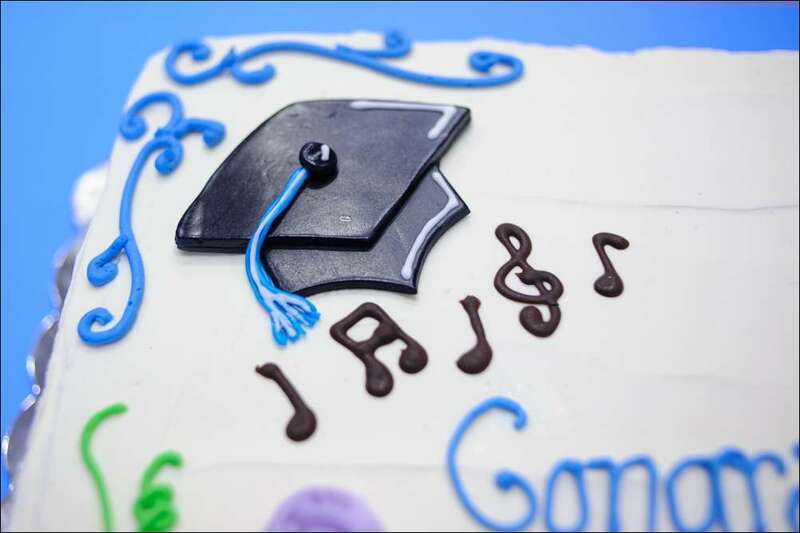 It’s so fun to personalize them for each graduate…There are so many possibilities. 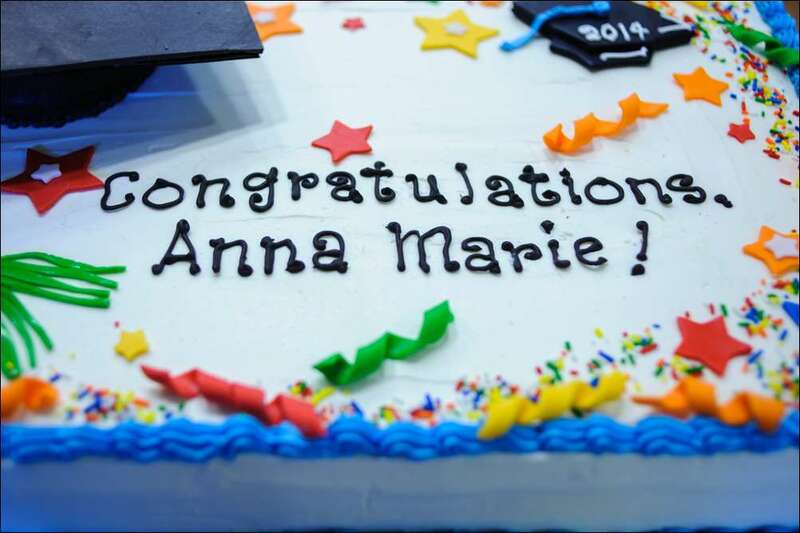 This full-sheet cake I made for the graduating daughter of our neighbor. 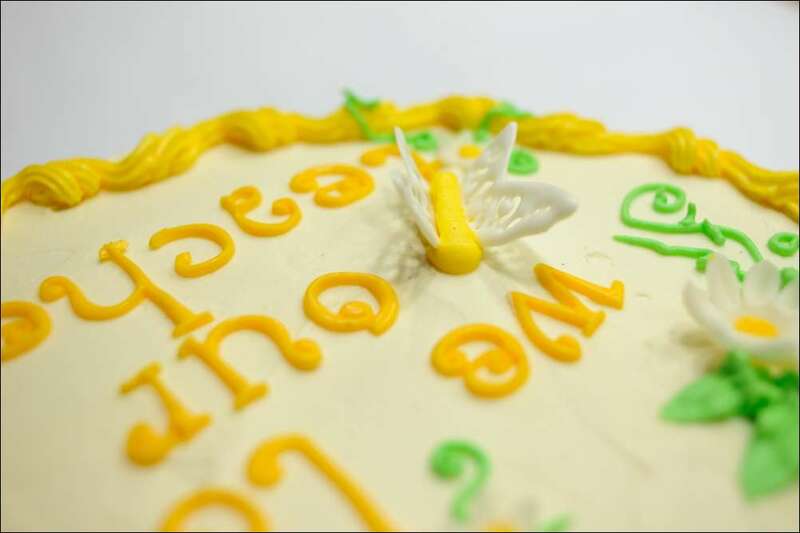 She asked for a pink champagne cake with raspberry mousse filling, iced with vanilla-bean buttercream–delicious combo! 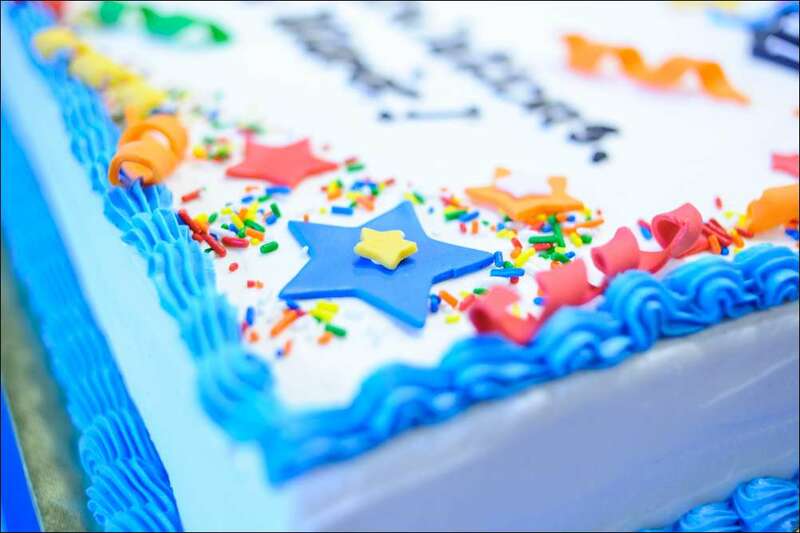 There was no particular theme, just a big celebration cake with primary colors for family and friends (and they do have a BIG family…10 kids!). 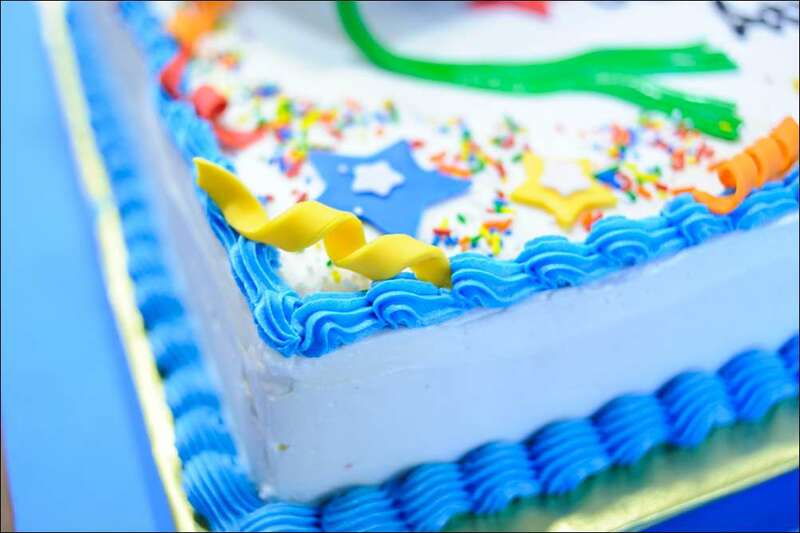 Since it was such a big cake, I wanted to add some dimension. 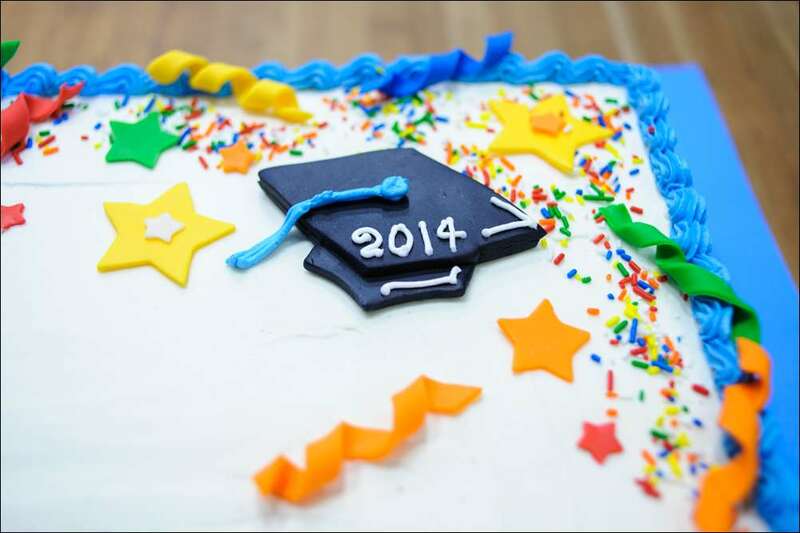 The large graduation cap is made from a smaller 4″-round cake frosted with black buttercream. The top of the mortar board is made from black candy melts that I piped onto waxed paper and cut to a square after it had chilled for a few minutes (thanks to Liz Larson for the video tutorial on this: theartoffrosting.blogspot.com). 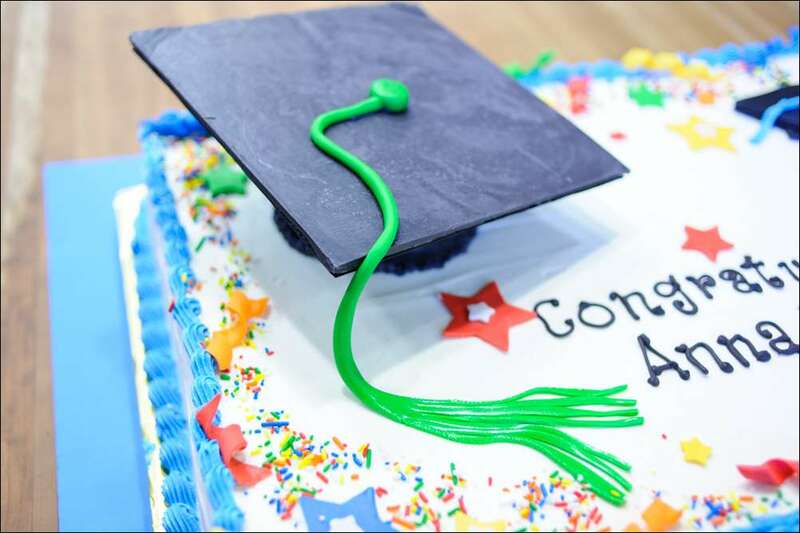 The tassel, smaller cap, stars, and twists are made from homemade marshmallow fondant. 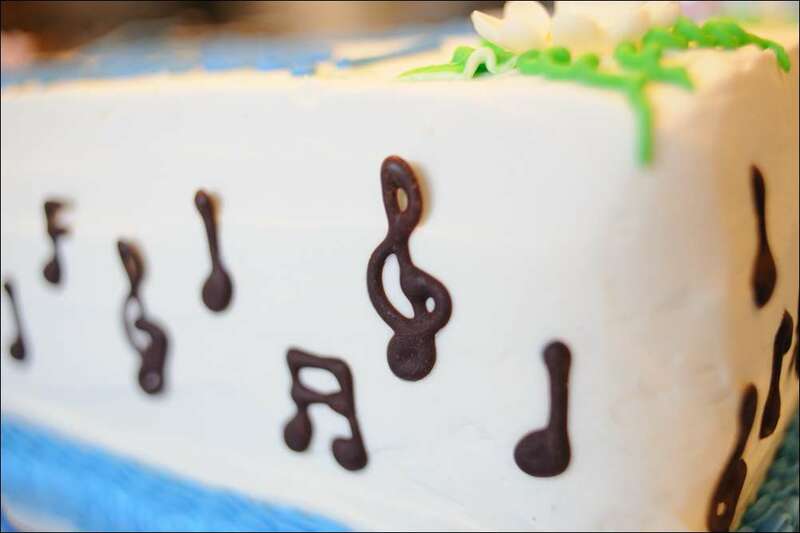 It was a fun celebration cake to feed a crowd. 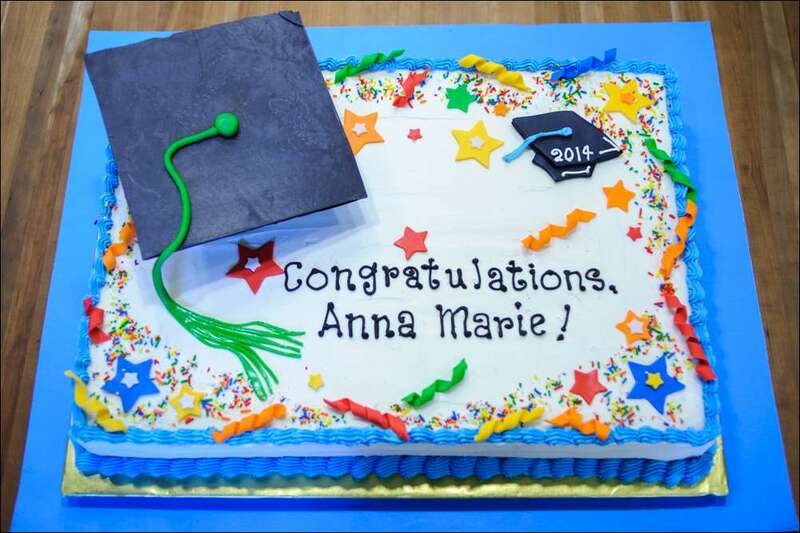 I hope you liked it, Anna Marie…Good luck at school in the fall! 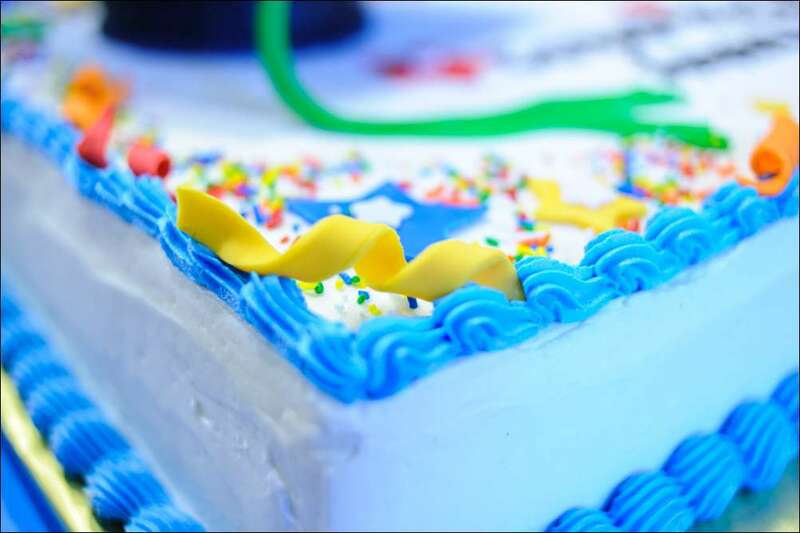 Cookie Dough Birthday Celebration Cake! 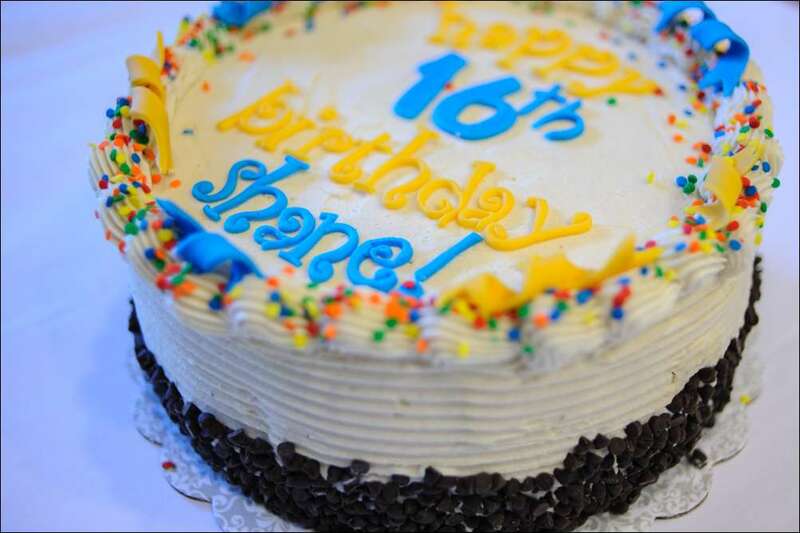 A very Sweet 16 birthday cake for a kid who loves cookie dough! 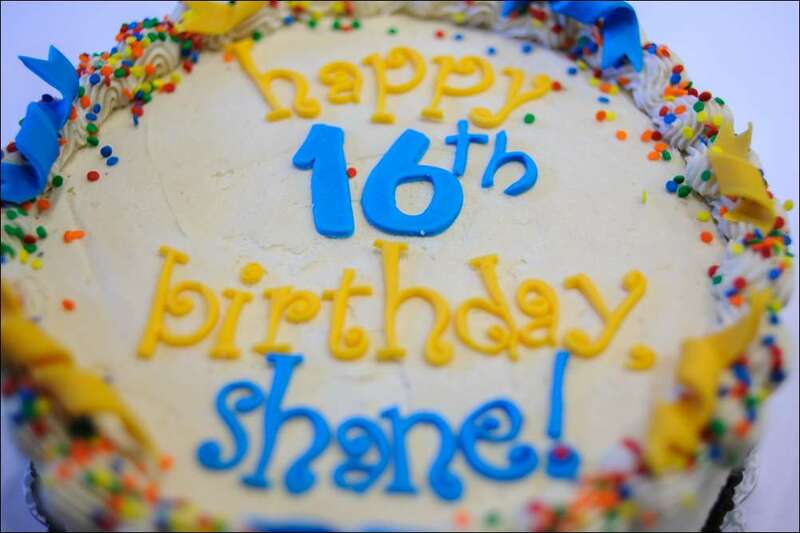 As I was decorating this cake, my 6-yr-old daughter asked if boys could have “Sweet 16” birthdays. I thought about it a second and said “Sure they can…boys are sweet, too, right?” She agreed…Although I think she may have been having doubts about her 2 older brothers :0). 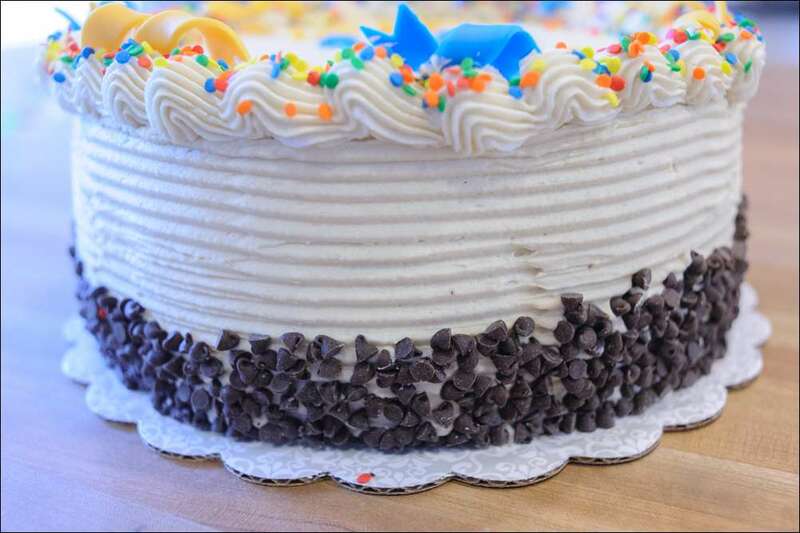 This double-chocolate 2-layer cake sandwiches a generous layer of cookie dough filling (it’s essentially an eggless chocolate chip cookie dough sprinkled with mini chocolate chips) and then frosted with brown sugar buttercream frosting (tastes just like chocolate chip cookie dough!). 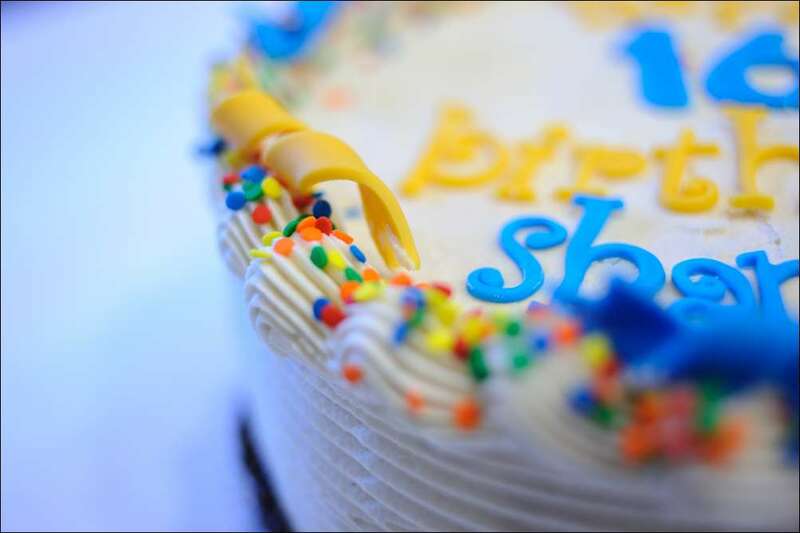 More mini chocolate chips are sprinkled on the sides and confetti sprinkles adorn the top along with homemade marshmallow fondant letters and twists. This may be my new favorite flavor combo, can’t wait to make it into cupcakes! 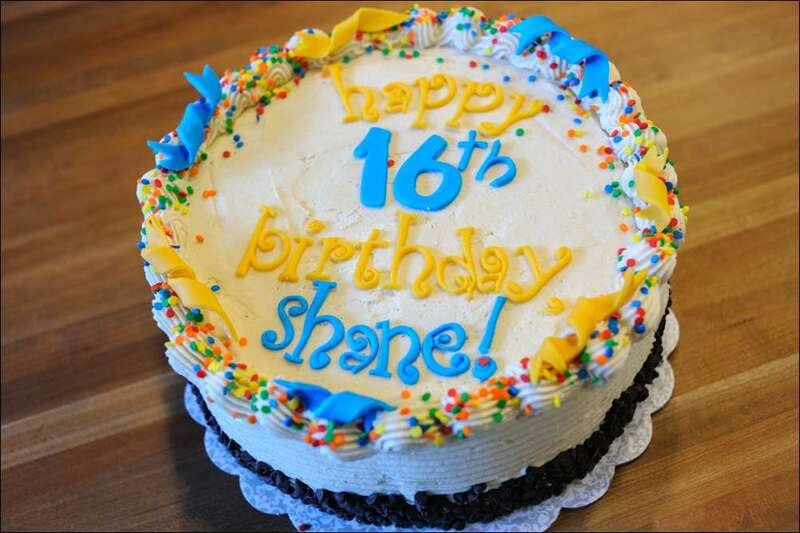 A sweet birthday treat for a sweet kid…Happy 16th Birthday, Shane! 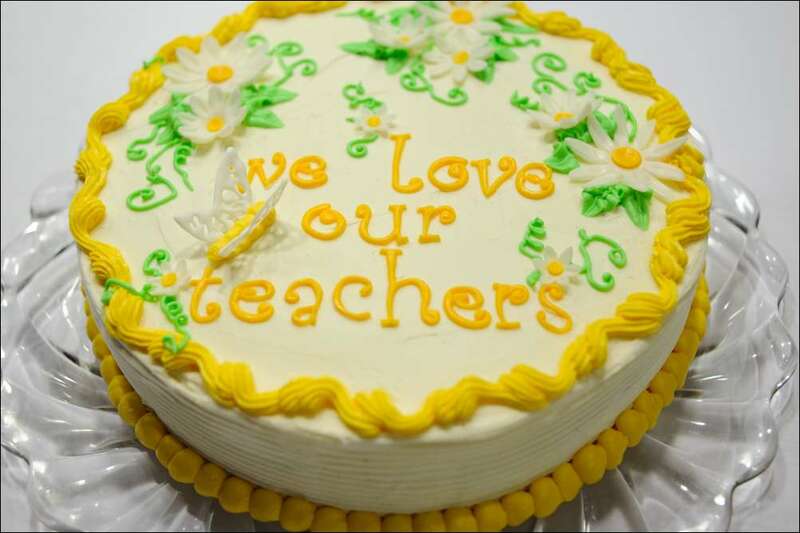 Near the end of the school year was Teacher Appreciation Week for the wonderful teachers at my kids’ school who dedicate so much time and energy to providing a loving and happy environment in which to learn. 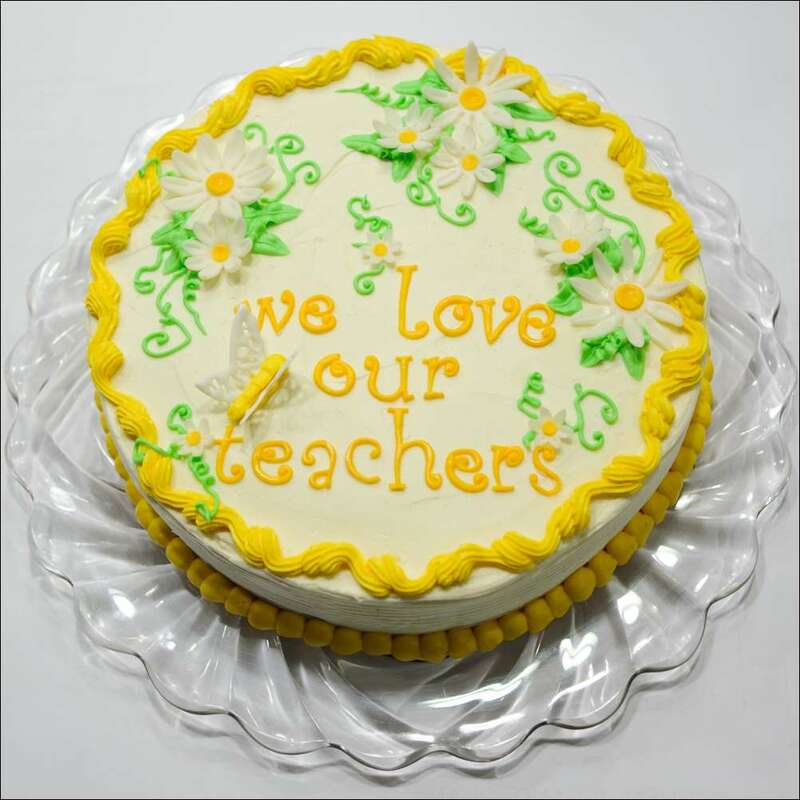 I wanted to treat them with a special cake with hints of the upcoming summer. 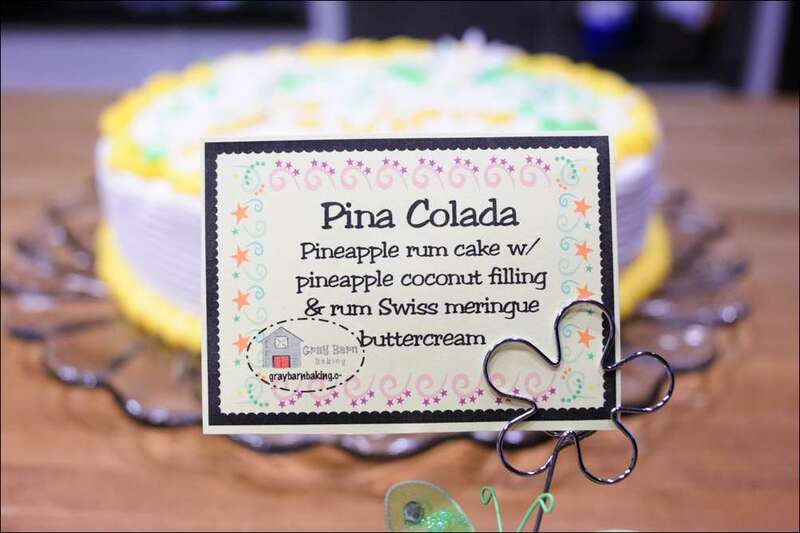 The cake is a pineapple-coconut cake made with coconut milk and a can of pina colada mix added to the batter. 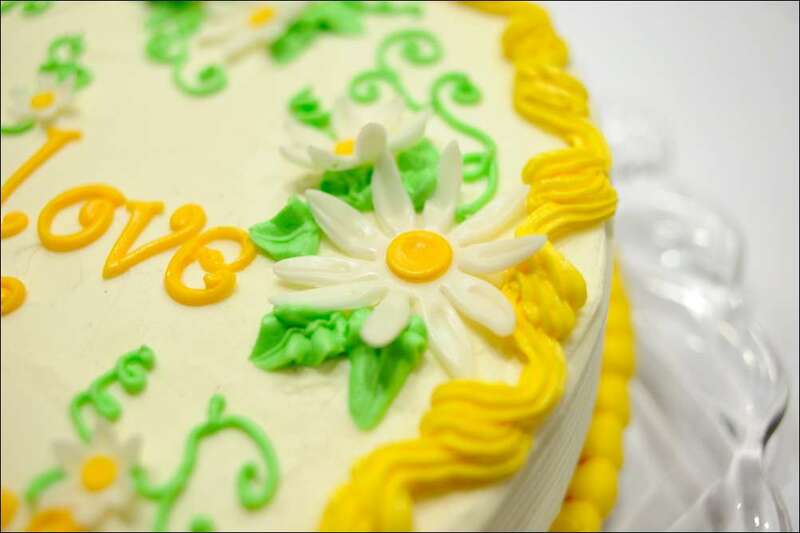 To cut the sweetness of the cake, i filled it with a generous layer of light coconut cream mousse with a few pineapple bits folded in. 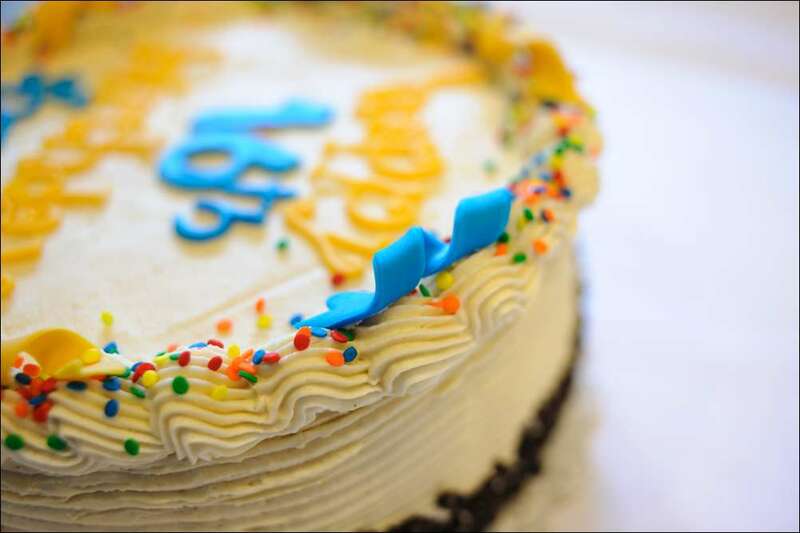 Topping it off is a vanilla-rum Swiss meringue buttercream. I made some flowers out of homemade marshmallow fondant; the butterfly wings were piped from royal icing and left to dry overnight, then added to a puff of yellow buttercream for the body. 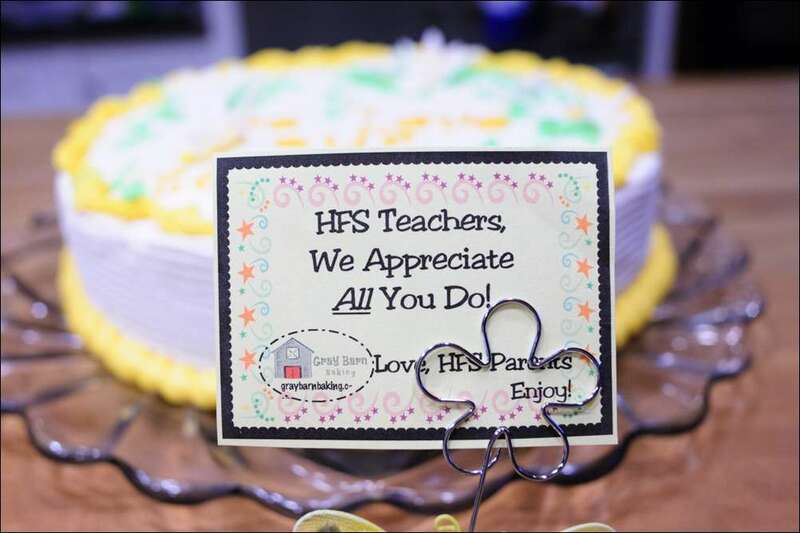 It was the least I could do to show these fabulous teachers how much they are appreciated…not just for one week, but all year long!